Dickson Brothers is a family-owned business with it's roots in the water well pump business, branching out into swimming pool equipment & supplies shortly thereafter servicing commercial and residential pools and spas since 1973. A water feature department, including water gardens & koi pond keeping was added in 1989. Our first-time customers continually become our long-term customers time and time again because of our expert staff and consistent service, choosing us for all their spa and pool servicing needs. Our business has steadily grown throughout the years thanks to the referrals of our customers. Whether you are looking for Pool Service or Repairs, rest assured that Aquanomics Pools has the right portfolio of products, services and the necessary know-how to address all of your swimming pool related concerns. 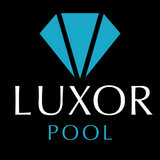 Maintenance and repair services to ensure your pool stays in tip-top shape. Our friendly customer service professionals are here to help you find your perfect service package. 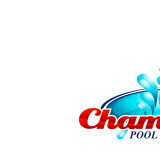 What should I look for when hiring a pool cleaning service in Terrell, TX? Pools and hot tubs are big investments, so you’ll want to make sure to protect them by hiring an expert who cares about them just as much as you do. Check that the Terrell swimming pool maintenance service you are interested in actually specializes in the type of pool you have — chlorine and salt water pools have very different needs, and in-ground versus above-ground pools will require different upkeep and repair methods. Also, know who will be doing the repair or service; if it’s one of the larger swimming pool services in Terrell, TX, request that you get same person every time, otherwise you could get inconsistency in treatments. Good Terrell pool professionals will keep a consistent schedule and log everything they do so that it can be referenced in the event that you switch companies or something does go wrong. Like any other professional, look for local pool cleaning companies near you with plenty of good reviews and relevant experience. 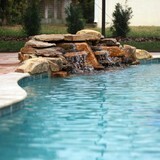 Find a Terrell, TX swimming pool repair and maintenance specialist on Houzz. Narrow your search in the Professionals section of the website to spa and pool maintenance companies in Terrell, TX and read reviews and ratings for pros in your area.